Below are some select publications from the peer-reviewed literature that represent some of our work outside of the blog. Click on the bloggers name to view their personal academic website. Sackett, D.K., Drazen, J.C., Popp, B., Choy, C.A., Blum, J.D., Johnson, M.W. 2017. Carbon, nitrogen and mercury isotope evidence for the biogeochemical history of mercury in marine bottomfish. Environmental Science and Technology. 51:13976-13984. Sackett, D.K., Drazen, J.C., Choy, C.A., Popp, B., Humphreys Jr., R.L., Pitz, G.L. 2015. Mercury sources and trophic ecology in Hawaiian bottomfish. Environmental Science and Technology. 49:6909–6918. Sackett, D.K., Lee Pow, C., Rubino, M., Aday, D.D., Cope, W.G., Kullman, S., Rice, J.A., Kwak, T.J., Law, M. 2015. Sources of endocrine disrupting compounds in North Carolina waterways; a GIS-based sampling approach for endocrine disruption studies. Environmental Toxicology and Chemistry. 34:437-445. Peoples, B. K., S. Midway, J.T. Deweber, and T. Wagner. 2018. Catchment‐scale determinants of nonindigenous minnow richness in the eastern United States. Ecology of Freshwater Fish 27: 138-145. Peoples, B.K. and R.R. Goforth. 2017. Commonality in traits and hierarchical structure of vertebrate establishment success. Diversity and Distributions 23: 854-862. Peoples, B.K. and S.P. Floyd. 2017. Partner swapping and cheating: why do different minnow species spawn together? Frontiers in Ecology and the Environment 15(5) 275-276. ​Peoples, B.K. and R.R. Goforth. 2017. The indirect role of species‐level factors in biological invasions. Global Ecology and Biogeography 26: 524-532. Peoples, B.K., L.A. Blanc and E.A. Frimpong. 2015. Lotic cyprinid communities can be structured as nest webs and predicted by the stress-gradient hypothesis. Journal of Animal Ecology 84: 1666- 1677. Midway, S.R., J.W. White, W.A. Roumillat, C. Batsavage, and F.S. Scharf. 2013. Improving macroscopic maturity determination in a pre-spawning flatfish through predictive modeling and whole mount methods. Fisheries Research. 147:359–369. Midway, S.R. and F.S. Scharf. 2012. Histological analysis reveals larger size-at-maturity for southern flounder Paralichthys lethostigma with implications for biological reference points. Marine and Coastal Fisheries: Dynamics, Management, and Ecosystem Science 4:628–638. Dobbins, D.A., S.R. Midway, Leone, E.H., and R.L. Cailteux. 2012 Long term impacts on native ictalurids by introduced flathead catfish in the Choctawhatchee River, Florida. Fisheries Management & Ecology 19:434–440. Midway, S.R., T.J. Kwak, and D.D. Aday. 2010. Habitat suitability of the Carolina madtom, an imperiled, endemic stream fish. Transactions of the American Fisheries Society 139:325–338. Cooney, PC, and TJ Kwak. 2013. Spatial extent and dynamics of stream impacts on tropical island freshwater fish assemblages. BioScience 63:176-190. Cooney, PC. 2013. A Southern Revival: Researchers and Young Anglers Contribute to the Revival of Southern Appalachian Trout Fishing. Fisheries 38:358. Cooney, PC. 2012. Climbing the Slippery Slope. Fisheries 37:475. Cooney, PC, and TJ Kwak. 2010. Development of standard weight equations for Caribbean and Gulf of Mexico amphidromous fishes. North American Journal of Fisheries Management 30:1203-1209. Midway, SR and PB Cooney. 2013. Membership and Communication: The Dual Benefits of Social Media for AFS. Fisheries 38:382-383. Cooney, PC, and MS Allen. 2006. Effects of introduced groundwater on water chemistry and fish assemblages in Central Florida Lakes. Hydrobiologia 556:279-294. Cooney, PC, TJ Kwak, and CH Brown. 2007. Fishery Population and Habitat Assessment of Puerto Rico Streams. Departmento de Recursos Naturales y Ambientales de Puerto Rico. San Juan, Puerto Rico. Claussen, JE, PB Cooney, et al. 2013. 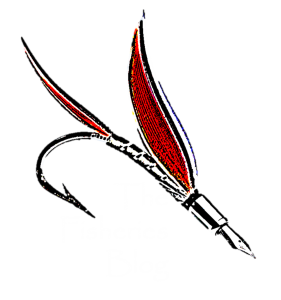 Science Communication in a Digital Age: Social Media and the American Fisheries Society. Fisheries, 38:8, 359-362. Buttermore, EN, WG Cope, TJ Kwak, PB Cooney, D Shea, and PR Lazaro. 2018. Contaminants in tropical island streams and their biota. Environmental Research, 161:615-623. Fifty-Year Retrospective Study of the Ecology of Silver Springs, Florida. Special Publication SJ2007-SP4. 2006. Lynch, A.J., I.G. Cowx, E. Fluet-Chouinard, S.M. Glaser, S.C. Phang, T.D. Beard, Jr., S.D. Bower, J.L. Brooks, D.B. Bunnell, J.E. Claussen, S.J. Cooke, Y.-C. Kao, K. Lorenzen, B.J.E. Myers, A.J. Reid, J.J. Taylor, and S. Youn. 2017. Inland fisheries – invisible but integral to the UN Sustainable Development Agenda for ending poverty by 2030. Global Environmental Change. 47: 167-173. Romulo, C.L., Z. Basher, A.J. Lynch, Y.-C.Kao, W.W. Taylor. 2017. Assessing fisheries impact on river fish: A systematic map protocol. Environmental Evidence. 6:29. Lynch, A. J., S. J. Cooke, T. D. Beard, Jr., Y.-C. Kao, K. Lorenzen, A. M. Song, M. S. Allen, Z. Basher, D. B. Bunnell, E. V. Camp, I. G. Cowx, J. A. Freedman, V. M. Nguyen, J. K. Nohner, M. W. Rogers, Z. A. Siders, W. W. Taylor, S. Youn. 2017. Grand challenges in the management and conservation of North American inland fish and fisheries. Fisheries. 42(2):115-124. Lynch, A. J., W. W. Taylor, A. M. McCright. 2016. Stakeholder views of management and decision support tools to integrate climate change into Great Lakes Lake Whitefish management. Fisheries. 41(11):644-652. Lynch, A. J., B. J. E. Myers, C. Chu, L. A. Eby, J. A. Falke, R. P. Kovach, T. J. Krabbenhoft, T. J. Kwak, J. Lyons, C. P. Paukert, J. E. Whitney. 2016. Climate change effects on North American inland fish populations and assemblages. Fisheries. 41(7):346-361. Lynch, A. J., S. J. Cooke, A. Deines, S. Bower, D. B, Bunnell, I. G. Cowx, V. M. Nguyen, J. Nonher, K. Phouthavong, B. Riley, M. W. Rogers, W. W. Taylor, W.M. Woelmer, S. Youn, T. D. Beard, Jr. 2016. The social, economic, and ecological importance of inland fishes and fisheries. Environmental Reviews. 24:1-8. Lynch, A. J., W. W. Taylor, T. D. Beard, and B. M. Lofgren. 2015. Projected changes in Lake Whitefish (Coregonus clupeaformis) recruitment with climate change in the 1836 Treaty Waters of Lakes Huron, Michigan, and Superior. Journal of Great Lakes Research. 41(2):415-422.